I first became aware of Kitunzi Swamadu and Kasubi Boxing Club via Facebook. It was a GoFundMe campaign that appeared in my feed. 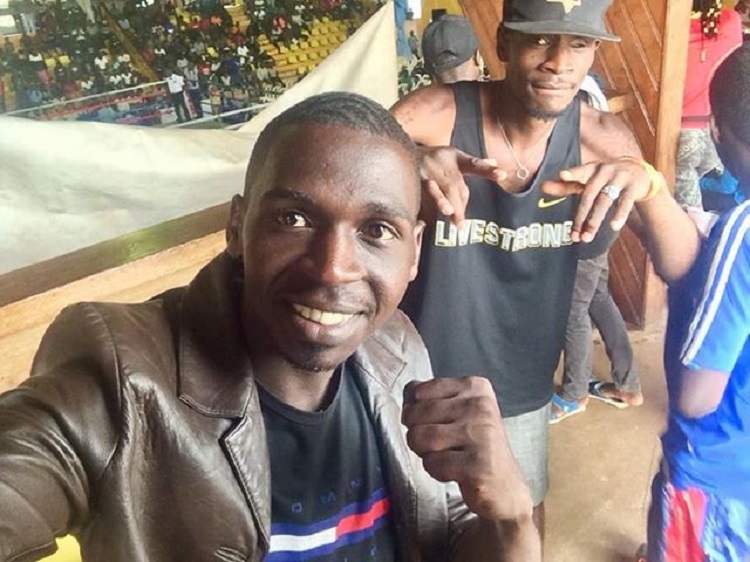 Boxing in Kampala, Uganda? I knew little about it, but I was intrigued. 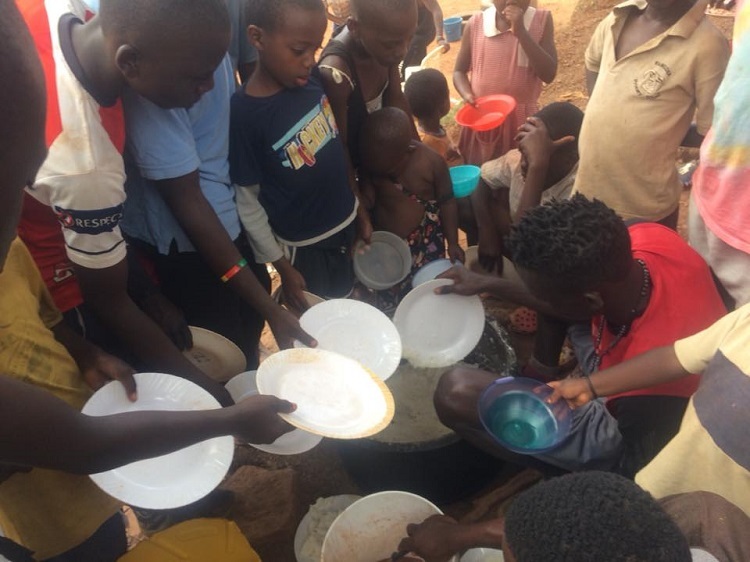 After reading organizer Mark Jordan’s description of the gym, its boxers, and the community of orphans Kitunzi and his brother Kabonge Salim care for, I was further intrigued. 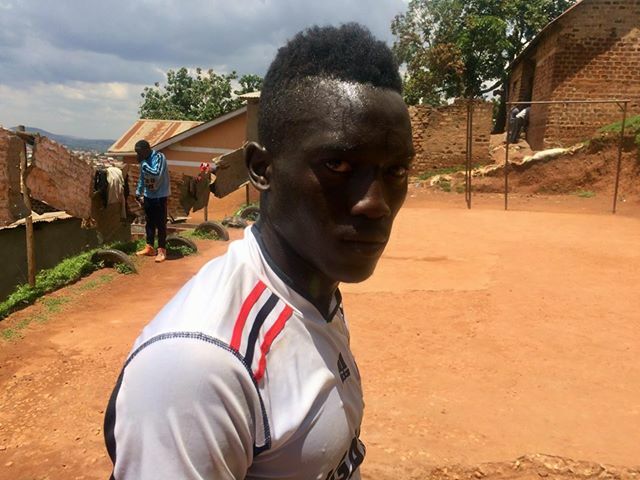 I researched deeper and learned more about Kasubi Boxing Club: the art of the young fighters, the passion of the coaches and the beauty of its community. I immediately contributed to the campaign. Since then, I’ve learned more about Kasubi Boxing Club and its associated KS Children Ministries. Kitunzi and Salim are on to something, but what? I don’t have the words for it, but it has that something and that something is special. Please tell us the about your personal history in boxing. When I was young, I met a coach called Kalyango Lawrence and I asked him to teach my younger brother, Kabonge Salim and I boxing. He accepted. Our guardian never liked us to join boxing, but as little boys we insisted. I was good at boxing but my younger brother was extremely nice and better than me. In my first tournament I won the gold medal, together with my younger brother Salim. It was called Schools Tournament. I also won the gold medal in intermediate, and a silver medal in cadets. I fought 174 amateur fights and I lost 9, while my brother had 169 fights with 1 loss. In 2012, we reached our National Open Championship together. I was a bantamweight and he was a lightweight. We had to run to the tournament venue because we had no money to board a taxi. Salim left home to the venue and I found him beaten up, laid alongside the road with a crowd of people around him. I asked what is wrong, and one person told me that he saw some boys attack him and do mob justice on him. He was beaten to the extent of losing his eye. I failed to attend the finals because I had to take Salim to the hospital to save his life. After knowing that he was attacked by our fellow boxers because we were somehow better than them…on that day we decided to quit boxing and we decided to start our own club and be coaches. 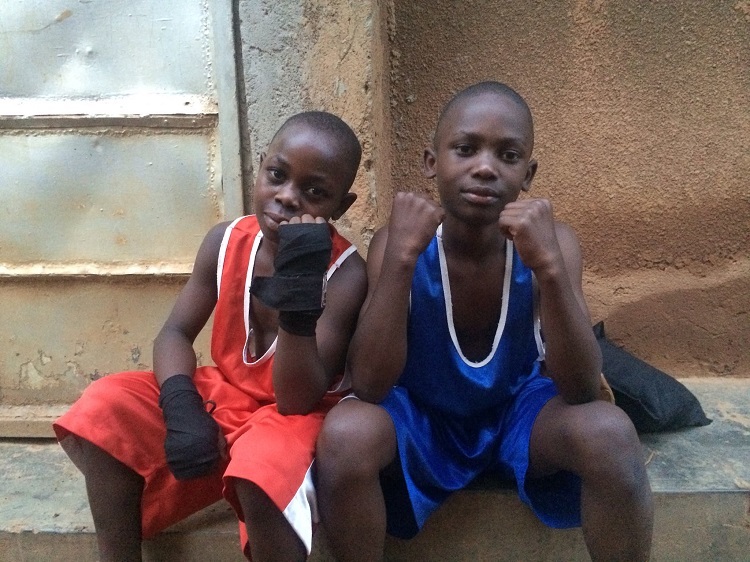 What is the story of Kasubi Boxing Club and KS Children Ministries? We grew up in orphaned life. Our mother was the last to die when I was 5 years old. A lady, our guardian, helped us in our struggle since we were still young by giving us everything. This woman was a food vender at Namirembe Street in Kampala (our capital city). We grew up on the street, but she gave us food and accommodation, and she treated us like her own children. We used to work by supplying food to her customers so she could give us school fees. She sowed a seed in me of helping others. I know how difficult it is to grow up on the streets, without parental care or help, so I decided to open up an NGO organization. In the future, if we get helpers with merciful hearts who join us to help some children with talent, we can make them future world champions. We decided to name the NGO organization KS because those letters represent both our names. Our sir names start with the letter K and our second names start with letter S.
We have talents but we have less opportunities of exposure. My boxers can be world champions if they get opportunities in big countries with good management and promotions. You have some great talent. Please tell us about your trainers and your boxers. We have 4 coaches at the gym and we are all not working for money, we are working as volunteers. One of our coaches left us because he got a job at a good club which could pay him, and we were happy because he got that job. I am the head coach, then there is coach Kabonge Salim, coach Ssennyungure David, and Kabuye Brian. I have good fighters because we are a group of talented coaches with less equipment, but we coach with determination and passion. 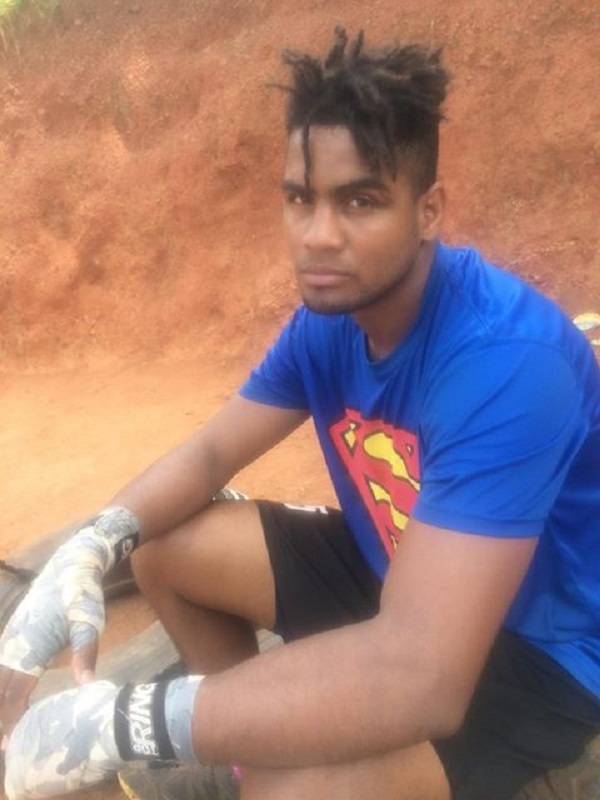 There are some boxers whom I want to get good management outside Africa and have them turn professional. Like Masembe Isac the bantamweight, Babu Yusufu the heavyweight, and Musa Shadir, the welterweight. I call upon every good management and promotions to come and take these talents as soon as possible. What is a training day like at Kasubi Boxing Club? How often does everyone train? Technically and tactically, I select the team that is supposed to compete in any competition in different categories of boxers (Youth category, Elite category and Juniors). I have to look for tactics. For example, head movements, leg movements, hand movements from different types of people and gyms from social media. Then I introduce it to my fellow coaches and we decide what can help our boxers, and we teach it. I have a degree in industrial psychology from Makerere University. I use psychology to know the problems of the boxers and how we can handle their problems and make sure it doesn’t affect our boxers mentally. I am the leading physical coach at the gym. We do warm up by running around the gym for 20 minutes and we rest for 1 minute. Then we do physicals for 40 minutes, from there we do shadow boxing for 9 minutes and then padwork and hitting the bags. We have two bags and each bag is supposed to be used by 2 people. After the physicals, coach Salim, coach David, and coach Brian start padwork for the boxers. Those who are not on padwork are either shadow boxing or hitting the bags. If you watch our training, you will hear me say, “Bag change, shadow boxing, keep on moving, and pads resting time.” After all that, the boxers can sit around the gym to wait for others finish and to get lunch together with our young orphan children. Coach Salim and coach Brian are the best padwork coaches; coach David is the fitness coach. We mostly concentrate on sparring and it’s the job of coach David to choose 8 people every day to spar. We do training from Monday up to Saturday but Moslem boxers are not allowed to train on Friday because they must to go to the mosques to praise God, and Christians are not allowed to train on Sunday because it’s a day for worship. Sometimes we get few boxers on Monday. But Tuesday, Wednesday, Thursday and Saturday, most of them attend training. Our training starts at exactly 11:00 am and must end at exactly 1:00 pm. Then the evening session starts at exactly 5:00 pm and ends at exactly 7:00 pm. The evening program is headed by coach Brian only. This is mostly for children and the youth who missed morning session. Few attend this evening session. Are there many fight opportunities for your fighters? We always organize trials at our gym and we invite our local community to come and support us. No one pays anything, it’s free of charge to watch. When there are many supporters, it gives courage to our boxers to work hard. We don’t have fighting opportunities from our federation, that’s why we organize fights at our gym and sometimes we organize friendly fights with some other clubs to weigh how far we are! Last year we had 2 boxers on the national team: Gayita Ronald and Masembe Isac. They won gold medals from the East African Games held in Bujumbura, Burundi. This year we took a team of 22 boxers to compete in our National Open Championship and we are glad that we have 8 boxers in the finals. We have 3 boxers in the Elite category: heavyweight Yusufu Babu, welterweight Shadir Musa, and bantamweight Masembe Isac. In the youth category we have bantamweight Mubiru Derrick, welterweight Matovu Ukasha, and lightweight Nassuuna Milly. In juniors we have light welterweight Mbuusu Araphat and John. The competition brought 56 clubs so we are glad that we have 8 boxers in the finals on 3/02/2019. I want my fighters to move away from my country because we don’t have fighting opportunities here. That’s why we need good promotions and management to help me take these talents out of Uganda. Are there opportunities in Uganda for female fighters? Women are part of the sport. I have only one girl Namutebi Milly and others are not active. We have female referees and female coaches but here, they have less opportunities. If they leave this country, since this is a third world country, and they go to first world countries…they will be nice and great. What do you feel are the benefits of boxing for young fighters? First of all, I am proud of being a coach and my heart is telling me that I am a “legend”. In boxing, my young boxers have inspired so many youths and attracted many to join the sport. I am sure my boxers will get exposure to the world and it will be my greatest achievement. Boxing will help them to develop their dreams. What are the challenges you face running your club? The first challenge is getting boxing equipment. We don’t have money to buy equipment because my brother and I work in people’s farms, gardens, houses and compounds to earn a living. That money we get, we pay the orphans’ school fees. Some of them are not studying because we don’t have enough. Another challenge is our government. Exclusion, unemployment, unexplained murders, uncertainty, uncertain futures for the children, women dying while giving birth, no medicine in hospitals, corruption, and here, the gun has become the master. Our country is now a laughing stock among nations but the president is still dictating us. He thinks about his family and his people of his same tribe. He came into power in 1986 and he promised to rule us until God calls him. The government doesn’t care about anything. Paying rent for our gym. We got this training ground in 2012 but since then we have not been paying our landlord well, and not paying on time as we are not financially stable. Last year in November, our landlord sent us a letter that we have to leave this place in March 2019. He said he doesn’t want money from us from November until March 2019 but he wants to sell to people who can develop the land. We either have to look for money and buy the land with the assurance of developing it with buildings, or we have to look for another place to buy and leave this place. We can not get all the money that he needs. This can be our downfall. Getting children food. Feeding is also another big problem. Children must eat every day but sometimes we fail to buy food and we give them just tea without even any bread. Facebook people. They are those who lie and pretend that they have sent you some money, yet they are lying. Others promise to send you equipment, and they end up blocking you. Others abuse us with racist words. Others promises to visit and they end up disappointing us, yet I’ve informed everyone that we have a visitor next week or month. They make me a liar to my children, boxers, coaches and to the community. Sunshine and rain. Both affect us since we train in an open place. Less equipment, most especially during tournaments. Coaches are tired of me begging them to borrow uniforms and ring boots for my boxers. Most tournaments we used 3 mouths pieces shared by all boxers. It’s only in this last tournament that we received money from you, Laura Dal Farra, and we bought mouthpieces and bandages (hand wraps) for all the boxers to use. What is your plan if you are unable to get the money to buy the land from your landlord? I looked for all possible ways to get a person to lend us $30,000 (USD) so we could also do a poultry project to pay that money back within 36 months, and we failed. All of us studied poultry farming, starting from the orphaned children at our gym, but we failed to get the starting capital. Every bank here needs a collateral security of which we don’t have. However trustworthy you are here, rich people don’t help and they don’t want to know. We all studied the poultry business, and we all know it very well, but everything must stop at the planning level because of a lack of capital. This is my last plan B. I have good boxers who know all our struggles. I am praying to God that I get any opportunity for these boxers to move out of Uganda. They are good workers, determined, and they have passion. If they get a chance to move out of here, I am sure they will help us by sending money back to buy at least a small piece of land. Then we redo another comeback of Kasubi Boxing Club. There is no any plan apart from that. If we fail to buy this land, and we also fail to look for another place to buy, automatically it will be a big setback for us or our downfall. What is your dream for your future and the future of Kasubi Boxing Club? In the future, I’d like Kasubi Boxing Club to start up a poultry project. This will help the gym, help the orphans with school fees, buy daily food, and build housing for the children to sleep in. It will also teach the community for free how to raise chickens and it will employ the unemployed, determined people so that they can also earn a living. I want God to be on my side, and to get future world champions from this club. In the future we need to start up an orphaned school for the children. This will help so many orphans at least get an education because education is the key, and here our government doesn’t care. The government people care about themselves and their families. In the future we want to create a borehole water source for the community. The government charges too much for water, in that some people fail to pay their water bills, but if we create a borehole for the people who can’t afford to pay water bills, it will be nice and good. I also want to bring any legend boxer to come and encourage Ugandans, most especially the youth. We don’t want any single coin from him or her, but we want his or her encouraging knowledge to Ugandans. The small words from a legend can inspire millions of Ugandans. Unity is power, it’s me and you who create a great future for the children, and the future is today. Being rich is not what you have in your bank account, but what you have in your heart. We should stop criticizing people and thank them for the little they have done. People should stop going to funerals awarding the deceased for a job well done; congratulate me for a job well done when I am still living, it’s unnecessary to award my dead body at my funeral. 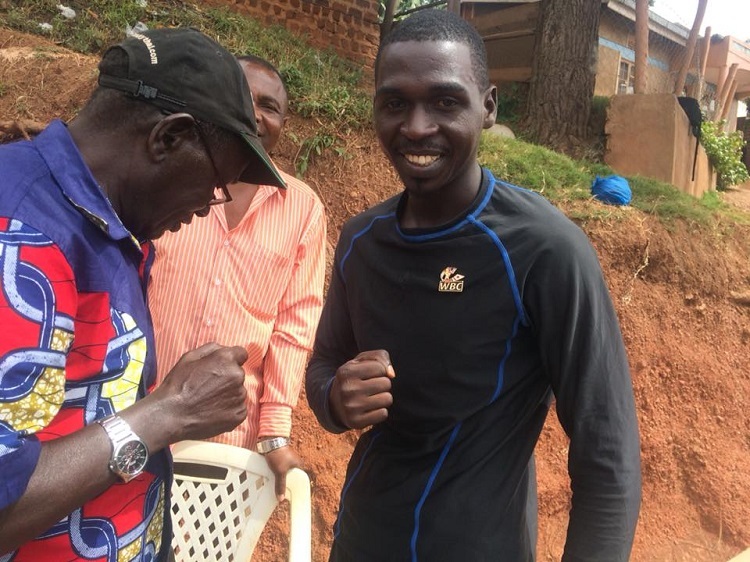 If you’d like to help save Kasubi Boxing club, you can do so by contacting Kitunzi directly on Facebook or by contributing to a GoFundMe campaign, set up by Kasubi Boxing Club friend Mark Jordan from the USA here.